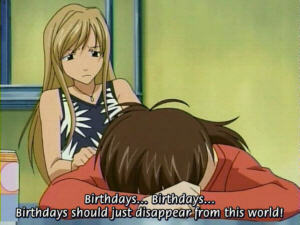 Pic of the day: No, it's not my birthday for nearly a month yet, I'm using this picture for the benefit of a friend. And actually I don't celebrate birthdays, but that's not for some religious reason really. I just don't think it is fitting at this stage of my life. I don't begrudge kids theirs. I have run up a "debt" of about a week of journal, mostly during Novemebr as is good and proper. I don't think I can fill it all with something worth reading, so I'm doing some skipping here. Even reading all my year-ago entries is taking more time than it sometimes took to write a new one. On a random note, I originally mis-spelled the heading, typing "fat" instead of "fast". This is not a meaningful coincidence, though, because I am still at my lower weight. I've just stopped losing weight, since I don't walk nearly as much in the darkness and rain of this season.